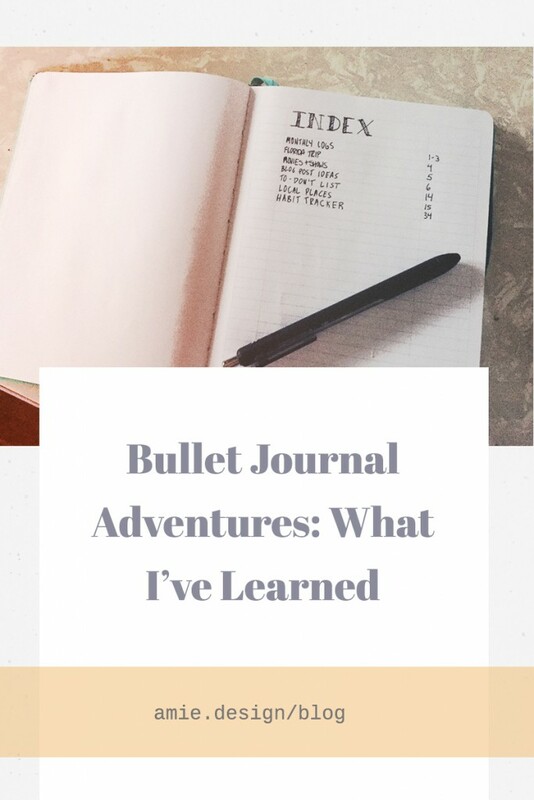 Bullet journaling – also called dot journaling, or abbreviated as BuJos – is one of those hyped up things you’ve probably seen around the internet and blogs. 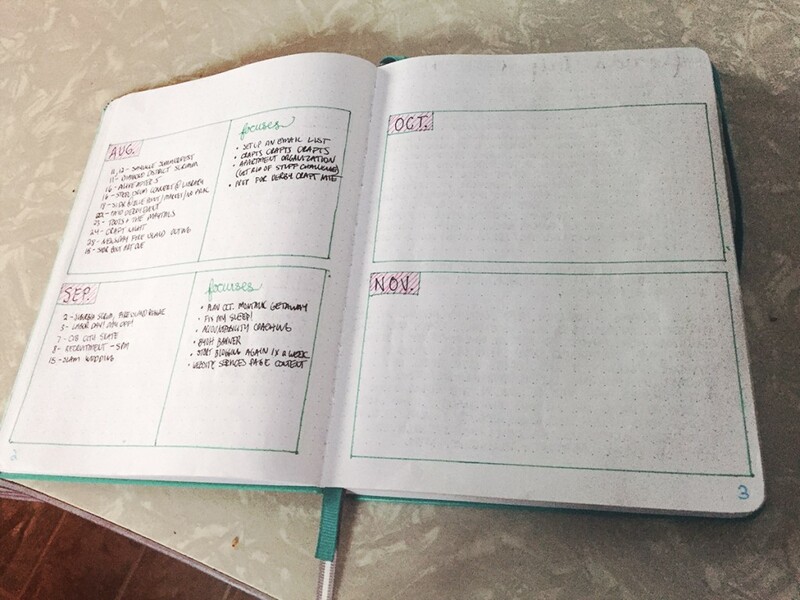 I’m happy to report for me personally, since adopting this as my daily planner it has lived up to the hype and i’ve felt immensely more organized and clear headed! 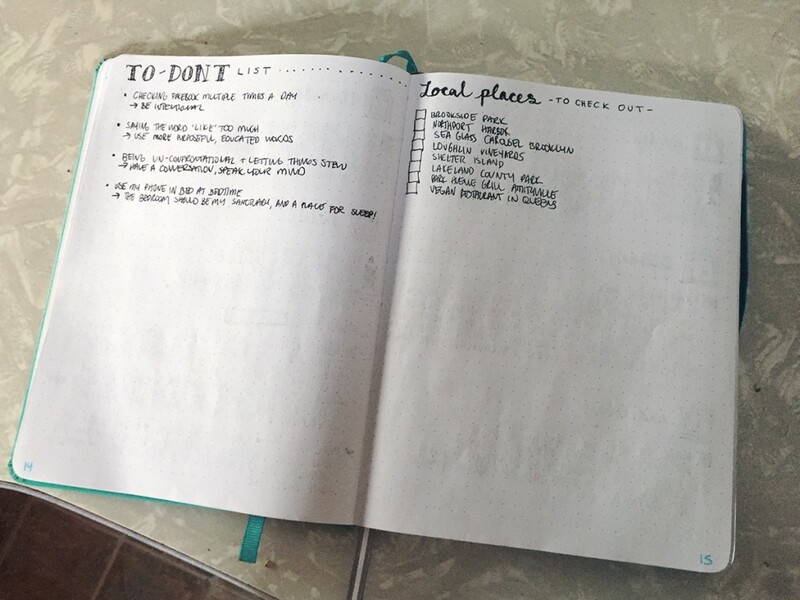 Bullet journaling is a unique mix of a planner, goal setter, and journal (duh!) What I like about it most is that you can organize it to fit your needs, you’re not constrained to a certain structure, and it mixes creativity with strategy. This teal dot grid notebook is the second one i’ve used – I didn’t make it through my first one because I wasn’t digging the smaller size, the fact that the pages didn’t lay flat when opened, and I just needed a fresh start after working out the kinks and what I did ‘wrong’. This leads me to what I wanted to share: what i’ve learned while bullet journaling. Instead, focus on what you absolutely have to get done for the day/bigger tasks, and if you need long to-do lists separate them out by projects or events as separate pages. 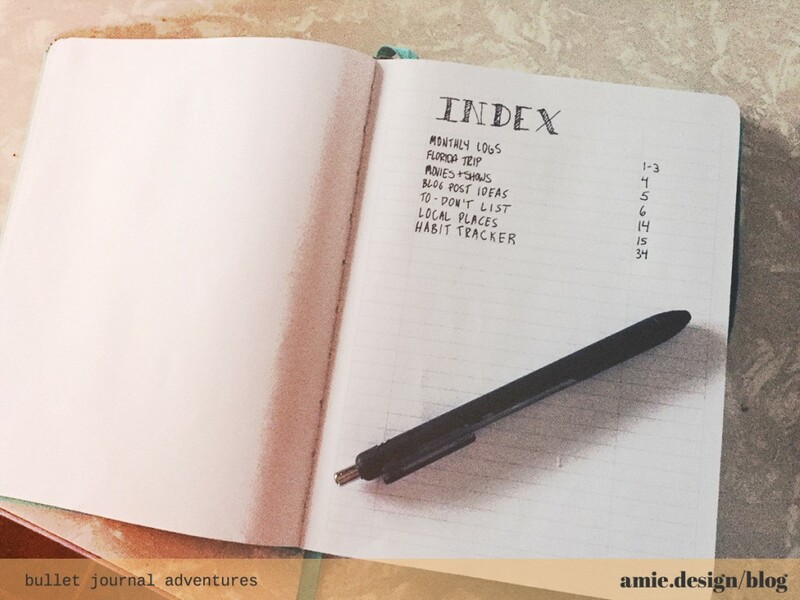 When I first got started with this format, I was using my journal as more of a glorified to-do list and wasn’t using it for reflection enough. Since then I’ve added a weekly recap, weekly gratitude list, and I make sure to jot down some notes on specific days. It’s very tempting to spend so much time setting up the perfect journal before you dive into it – but you’re not going to get all of the kinks worked out the first time around. I recommend starting with a small, cheaper notebook first and get through a couple months. Once you actually start using it you can refine and move onto that awesome perfect version in another notebook. It’s recommended to set up your next day before bed the previous day. I found that didn’t work for me consistently, so I switched to when I sat down at my desk in the morning. It doesn’t matter when you set up your day, it’s just important that you stick to a routine, and a time that works for you. I found during the couple times I missed it in the morning I felt like my day started off on the wrong foot, and it was harder to focus. This one is arguably less important – but is still important! If you don’t have any pens that get you excited about writing and planning, it’s time to get some new ones. I found these brand of gel pens I really like (and enjoy for all kinds of writing, too) that I wouldn’t have discovered if I didn’t start bullet journaling. I also switched to finer point pens and found it’s a lot easier to write smaller and neater. I got a gift of some fine colored markers that I use for details and headings, that are the perfect creative companion to my go-to black pens. Don’t forget to periodically look back to see all that you accomplished. 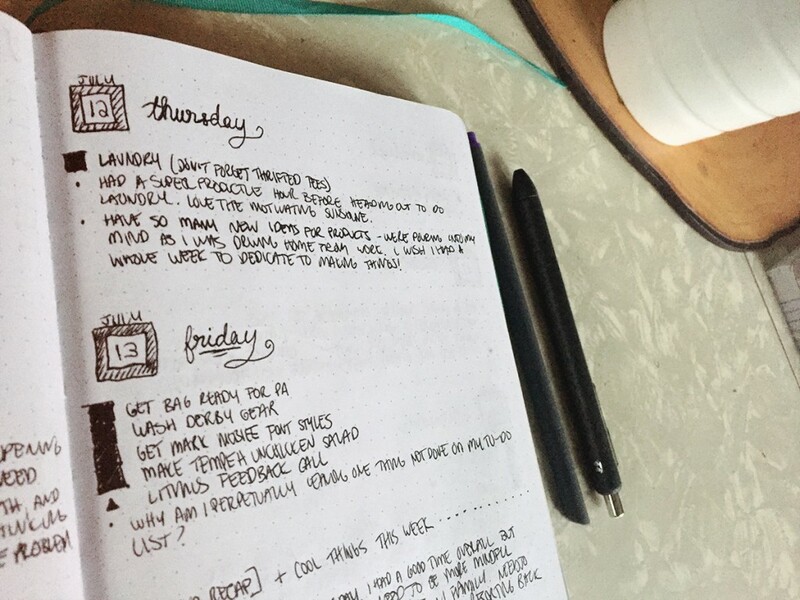 Since it’s half journal half to-do list, it’s so easy to track your personal development. At the end of the week after writing my weekly recap I use that as a trigger to look back on the last weeks accomplishments and make sure i’m on track with my planned monthly focuses. 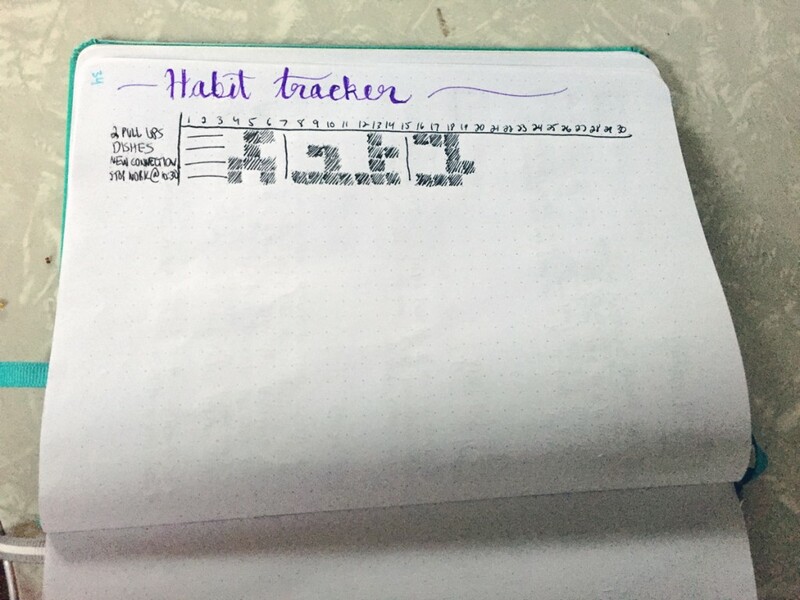 My new habit tracker i’ve added in. 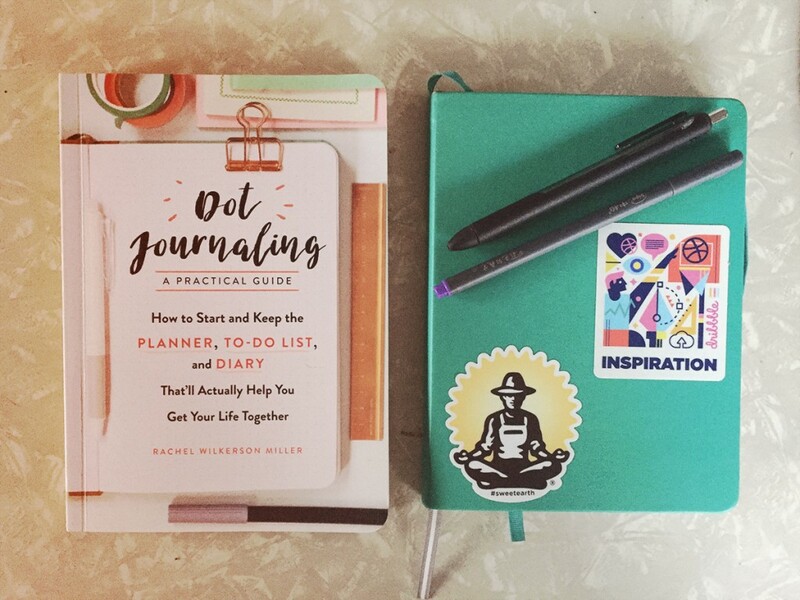 Have you tried bullet journaling and if not, which planner do you really love?